Some historians and alien conspiracy theorists are of the opinion that the Leonardo Da Vinci biography encompasses a 2-to-5-year void, where the artist’s whereabouts are unknown and undocumented. In lieu of the 16th century artists advance intelligence in science, art and medicine, there is conjecture that Leonardo Da Vinci was given the artificial intelligence by another living resource. 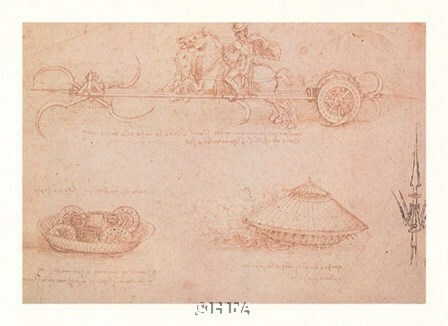 Among the Leonardo da Vinci biography and collection of artwork, “War Machine,” suggests that the artist may have encountered an alien or UFO. Two hundred years prior to the Wright Brothers’ flight in the 1900’s, Leonardo Da Vinci images of winged aircrafts have been deemed far too advanced for the time. However, when archaeologists found figurines dating back to 500 BC, the renderings are deemed to have been replicated from real spacecrafts. Even the carving of a model airplane discovered in the Egyptian temple of Abyd from 200 BCE indicates that other civilizations encountered unidentified flying objects (UFO)s.
While most engineers and artists are familiar with the Leonardo Da Vinci biography, only a few professors and theorists contend that the legend’s inventions were inspired by other planetary life, as in aliens. The video on the History Channel reports that da Vinci invented a helicopter, solar power and calculators years before the technologies (microchips) were available to create such devices.